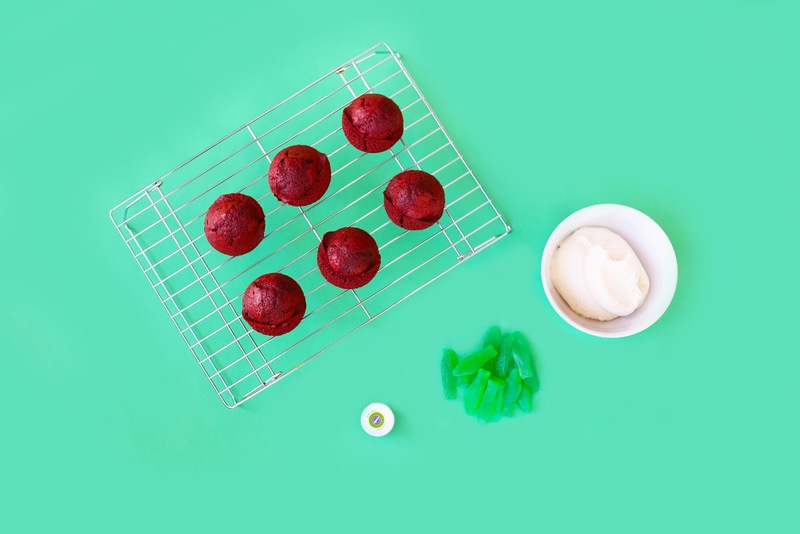 Red Velvet Apple Cupcakes! / Hey, EEP! 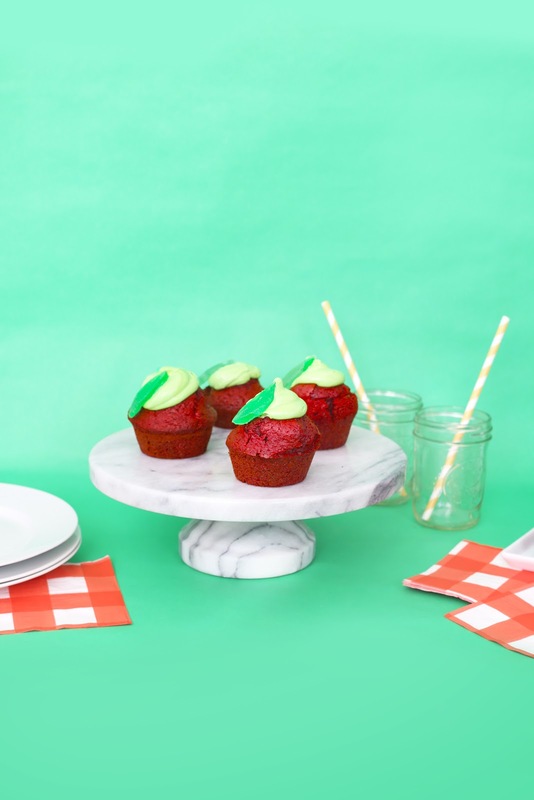 To start, you need to make some red velvet cupcakes! I developed my "signature" recipe over four years and was annoyingly protective of it. 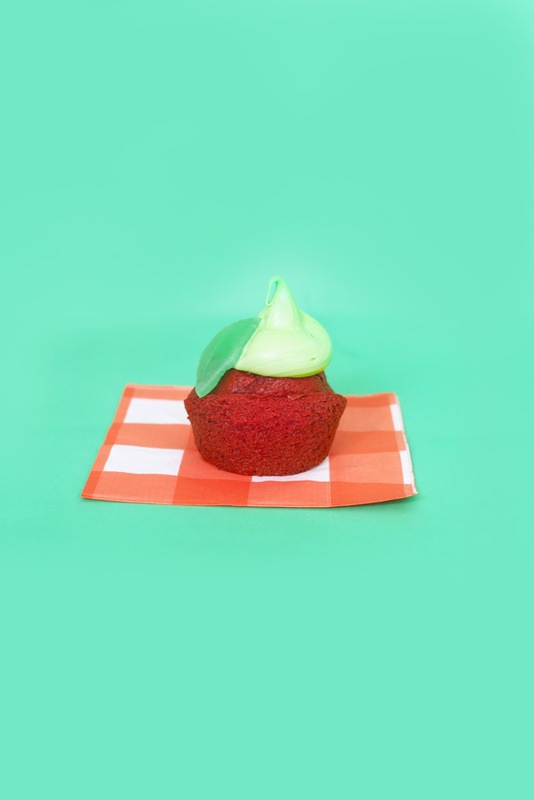 This and this are all you'll find if you search Hey, EEP's red velvet cupcakes. It's funny because not only are the photos utterly horrific...I also lost the recipe. Me. The person who guarded it so fiercely. But enough sobbing about my long-lost recipe. Since then, I created a Dr. Pepper Red Velvet Cake recipe that's just ridiculous. You can totally give that a whirl! Or, there's always Ducan Hines (which I absolutely love). I think one of the most important tools for candy crafting is a good pair of small scissors. Snipping is way easier than cutting with a knife. Buy a pair at the dollar store and keep them in your baking drawer for easy projects like this. 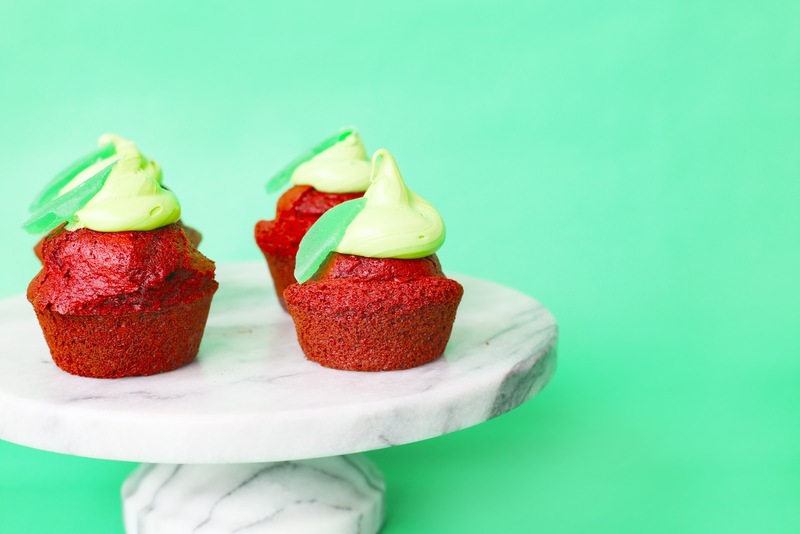 Making these cupcakes with the kiddos? Kid-safe scissors will work, too! Get the littles involved. 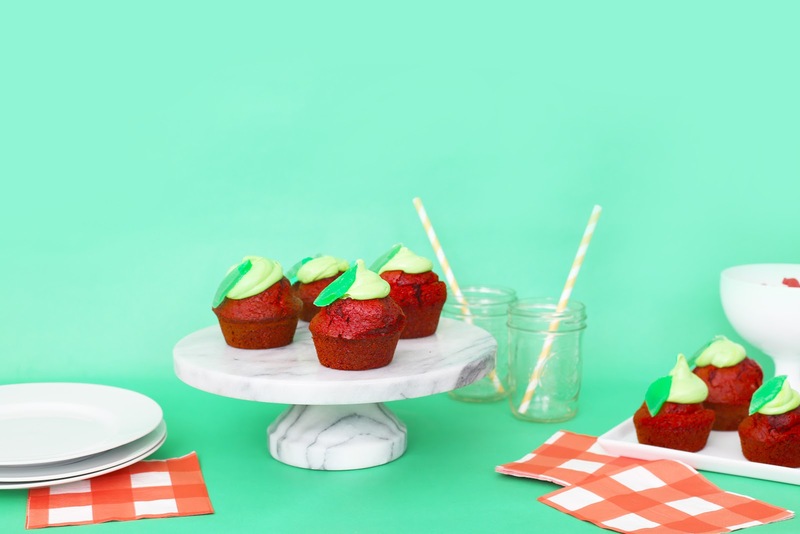 The thing I love about these cupcakes is that they're a fun, whimsical interpretation of an apple. A charming nod to the season's favorite fruit! 1. 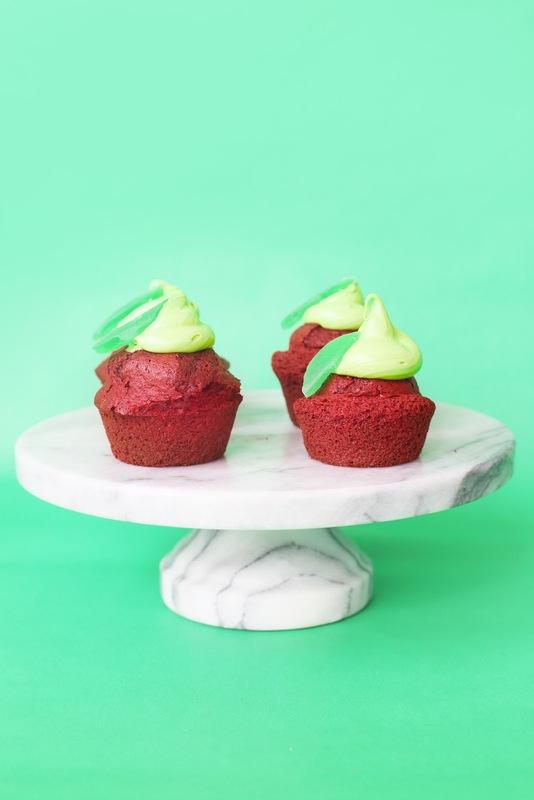 Tint the frosting green with food coloring. Transfer to a resealable plastic bag; snip the corner to create a piping bag. 2. Roll Swedish fish flat using a rolling pin and a little elbow grease (do back and forth lengthwise and crosswise). Snip into a leaf-shape using scissors. 3. Pipe a dollop of frosting onto each cupcake. 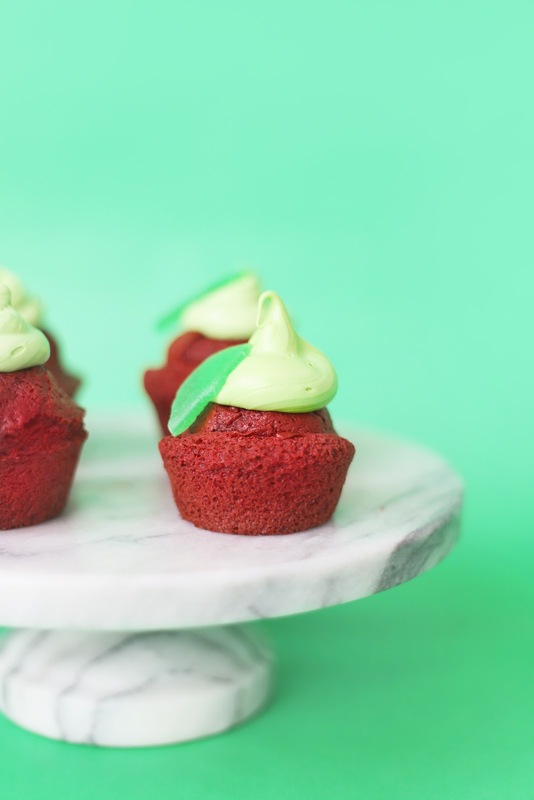 Press 1 leaf into the frosting on each cupcake.